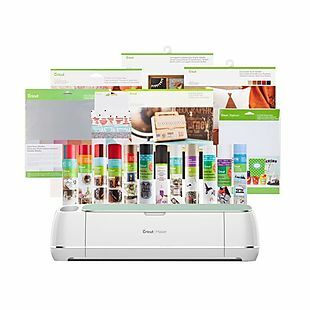 This Cricut Maker + Everything Materials Bundle, priced at $591 when purchased separately, is now $402 at Cricut.com. Add promo code APRSHIP to get free shipping. This is the lowest price we could find anywhere on this package. It includes 50 ready-to-make projects and a variety of materials. Choose Mint, Rose, Champagne, or Blue. Sales tax is charged in most states.